Our view in Mompiche, Ecuador, at sunset. Buddies taking us out on the boat. Levitating on the beach in Ecuador. 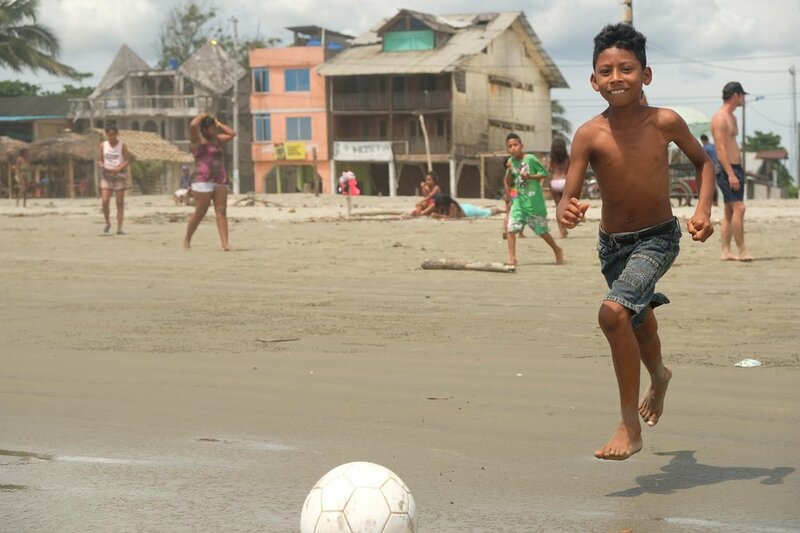 Queen of fútbol, Mompiche, Ecuador. Click the image for more in this series. Plaza de Botero, Medellín, Colombia. How gentlemen roll in Salamina, Colombia. Sacred Valley, Peru, where I accidentally stayed in a ayahuasca temple.